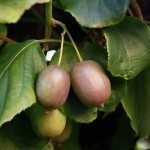 We have a kiwi vine that has been very healthy for several years. 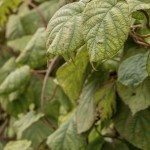 Currently the ends of several vines have leaves that are dying. What could be the problem and what can we do to stop it? Thank you. This could be due to a number of things depending on the symptoms. For instance browning or curling leaves can be an indication of too little water, while yellowing leaves can signal too much. If the leaves turn yellow prior to turning brown or are spotted, this could mean a fungus. I would also check the plant for any signs of insect pests. For both fungal related issues and pests, neem oil can help.